This time of year provides a much-awaited excuse to craft everything from DIY Easter egg bunnies to bunny wreaths that turn any wall in the home into a holiday masterpiece. Simple household products can easily become an Easter holiday conversation starter. Whether it’s a used tin can, excess burlap or even socks, a lot of craft potential is just waiting to be discovered in materials you most likely already have. A little time and creative attention will turn craft branches into a stunning Easter bunny wreath that brings a rustic living room together in holiday style. Adding some well-placed bunny ears and a little pink nose to a tin can will brighten up a shelf or countertop. 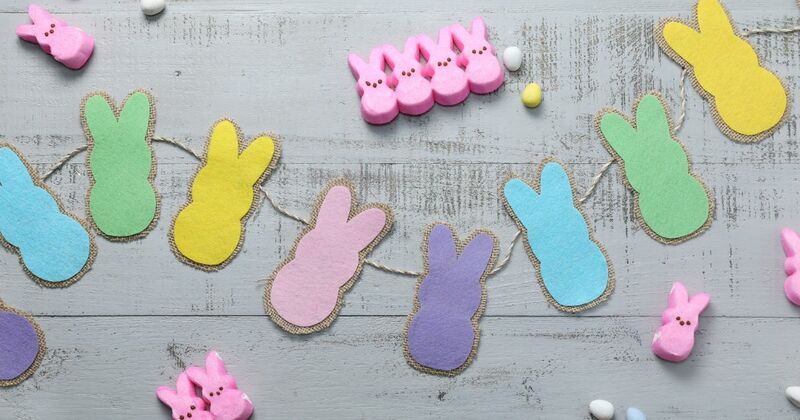 An Easter bunny garland stylized in Peeps fashion makes a fittingly colorful addition to holiday décor. 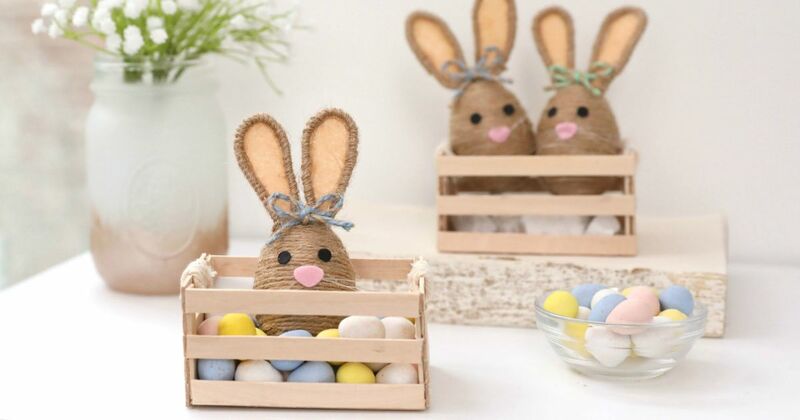 Whether it’s adding a festive touch for a neighborhood Easter Egg hunt or finding that perfect DIY centerpiece for the family dinner, these simple projects are sure to please. 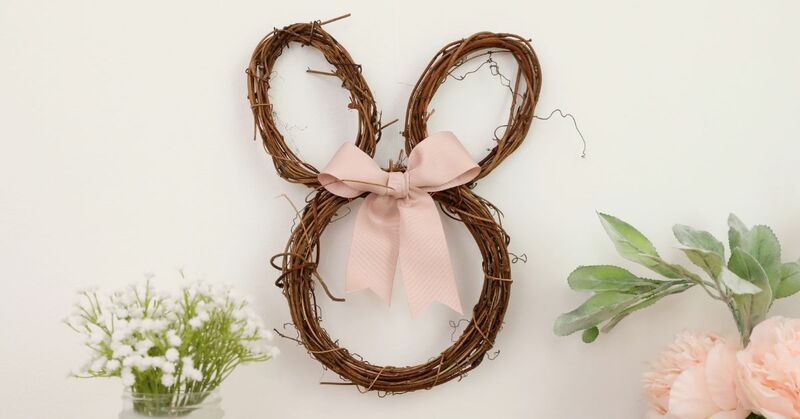 Create an Easter bunny wreath with that currently popular rustic appeal in just a few steps. Simply combine bundles of crafting branches to create a bunny outline that you then secure with wire. This bunny wreath would look great on a painted or wood panel wall. Want a soft, sweet look? Add a pink ribbon. Use this wreath in the living room during the holidays and move it to an outdoor garden or patio for the remainder of the spring and summer months. Learn the trick to forming this wreath here. Take a tin can from simple to seasonally perfect with nothing more than a little paint and a few bunny details. 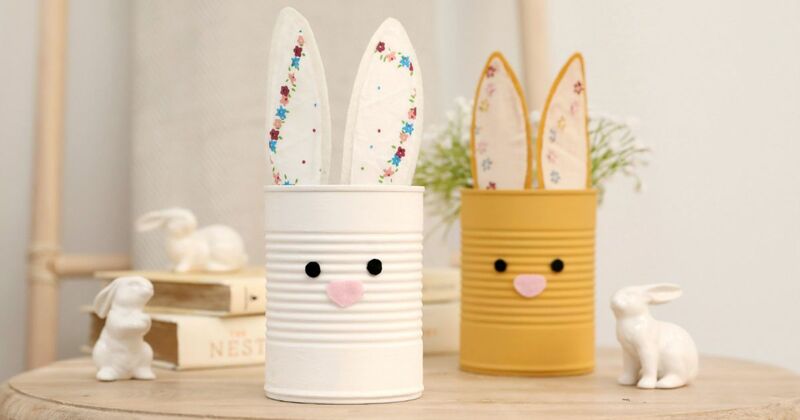 Adding a pair of felt ears to a tin can that you've painted white quickly transforms it into an Easter-specific decorative item that’s truly one of a kind. Floral fabric gives the ears a springtime touch, and a pink felt nose puts the cuteness factor over the top. A tin can Easter bunny is a great addition to any end table, and a large collection of them makes a charming vignette, especially when you mix and match the paint colors. See how to create this look here. 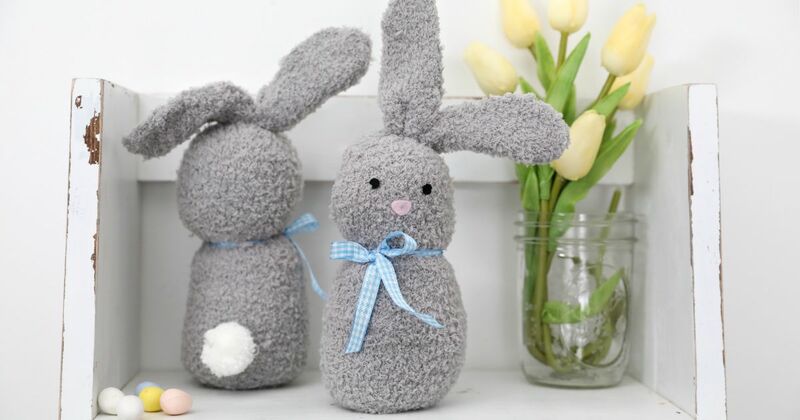 A fuzzy gray sock and rice come together to create an adorable Easter bunny that’s sure to charm every holiday guest who walks through the front door. 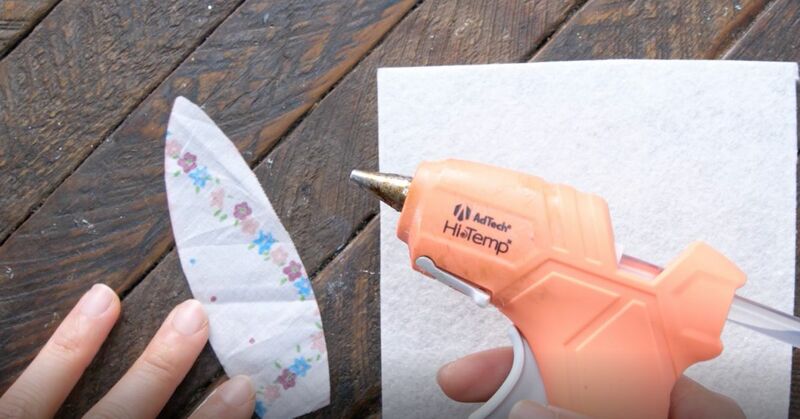 The fuzzier the sock, the better when taking on this sweet DIY project. Simply fill a single sock with rice and tie strategically with ribbon. Cutting the end of the sock into two makes perfect ears, and a cotton ball tail creates the finishing touch. This sock Easter bunny charmingly decorates a table or shelf and makes a lovable party favor at an Easter egg hunt. Learn how to create this sweet Easter cuddle bunny here. Wrapping a plastic Easter egg in twine gives this traditional favorite a bit of rustic flair. Copper wire folds easily into perfectly sized bunny ears, and a yarn bow adds a bit of softness. It's a good thing they're so easy to make, because these bunnies are so much sweeter in a crowd. Place groups of them around the house in the middle of candy baskets to highlight the holiday treats with some serious charm. See how easy it is here. Where Easter candy is concerned, Peeps tend to hit the top of the most-popular list year after year — and here, they inspire a delicious-looking garland. Felt cutouts in pastel hues glued to burlap backing create a colorful, earthy look that’s easy to incorporate into any interior décor. Attach the Easter bunny cutouts to a string of twine for an accent garland that brightens up any room. Get the inside scoop on how to pull this garland together here. The transition from winter to spring might leave a few extra logs now that the fireplace doesn't get as much use. 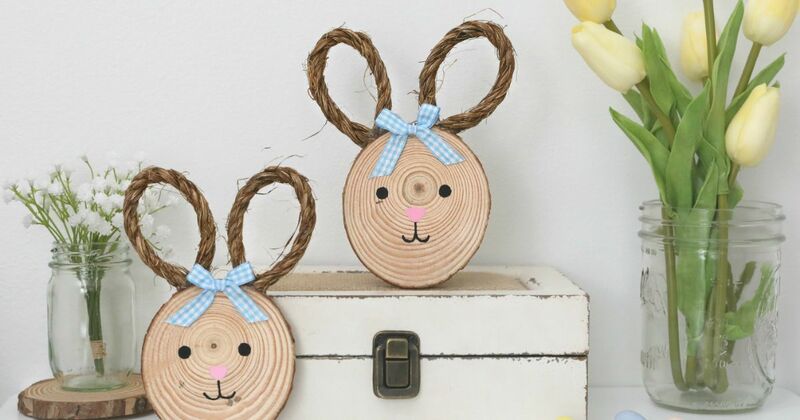 Consider slicing up a small log or two into rounds to create some charming Easter bunny accents. Some strategically placed acrylic paint is all it takes to design an adorable face on a wood round. Add some ears using natural fiber rope, and tie on a bow to incorporate some color. A wood-round Easter Bunny looks adorable on a shelf but even better as a set of two next to a jar of tulips. Get the details on how to create this charming holiday look here. 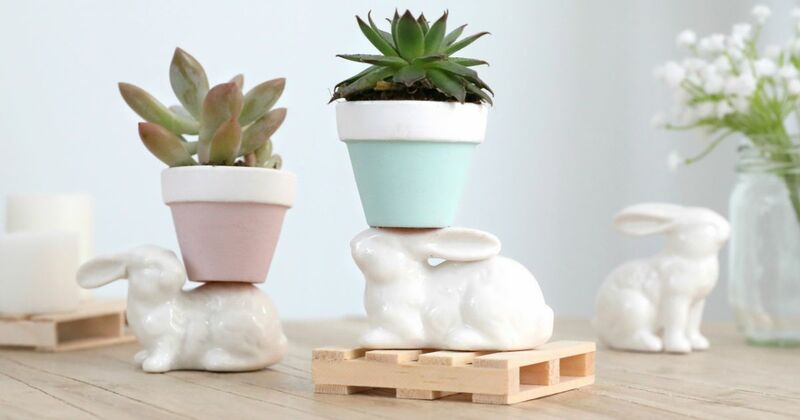 Highlight the beautiful hues of the season while providing a space for small succulents by painting a small terracotta pot and attaching it to the top of a porcelain rabbit. Fill the pot with a full, vibrant plant for a holiday display that’s aesthetically pleasing any time of year. An Easter bunny planter looks great in combination with several others crafted in a variety of pastel hues. Mix and match for an adorable, seasonally inspired indoor garden. Learn how to create this planter here.